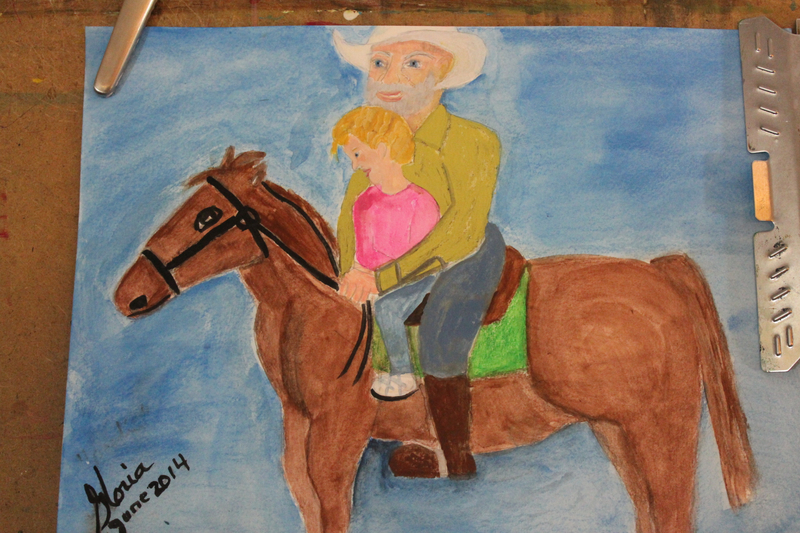 Granddaddy on horseback with his granddaughter sketch and photo2 by Gloria Poole of Missouri; 7 June 2014; acrylics on 9x 12 paper. These are NOT real people. Copyright Notic: All art I created and signed on this blog belongs exclusively to me Gloria Poole of Missouri and Georgia, and may not be copied, nor transferred to anyone anywhere, nor printed at remote. All art and words I create whether or not I display them publicly are copyrighted by U S copyright law.